Peter Brandt recorded this room with a number of flying microphone systems ranging from wide setups to narrow to shotgun. 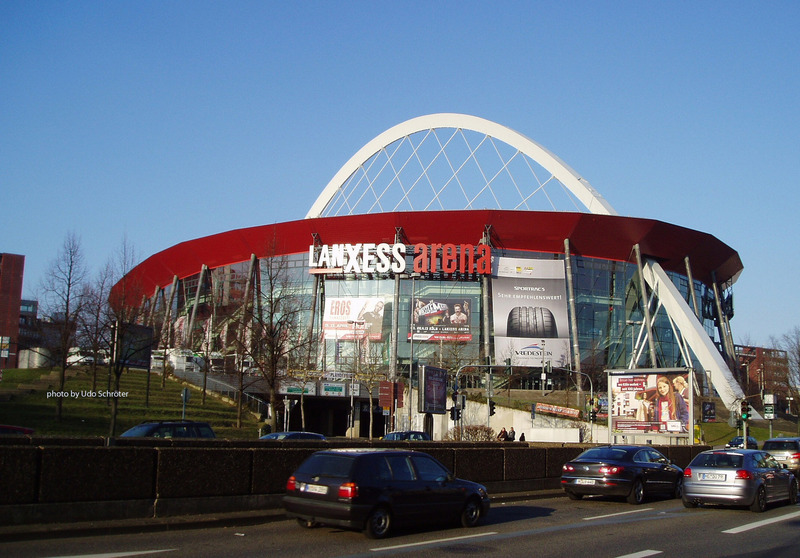 Lanxess arena is an indoor arena, in Cologne, North Rhine-Westphalia, Germany. The arena opened in 1998 and can accommodate 20,000 people, and is in frequent use for concerts.